Will the part of his life Cole hides tear them apart, or become the very thing she loves most about him? Major League Baseball Player, Cole Hunter, has strong ties to his college days and the university he shared with five of his best friends, now known as the #BellTownSixPack. 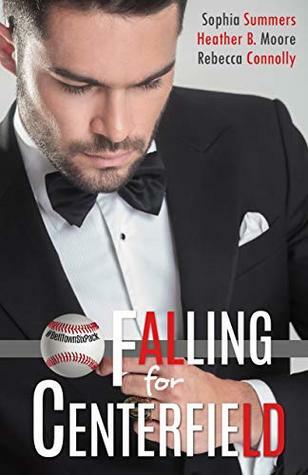 When an old acquaintance, Harlow Ember, walks in, wearing his jersey and his signature sunglasses, he knows this woman might have what it takes to capture his heart. But none of Cole’s typical efforts to gain a girl’s attention seem to work on Harlow. Harlow Ember is asked to report on a charity event for children back in Belltown sponsored by Cole Hunter and the Six Pack. Even though Cole attracts her in all the right ways, she has goals of her own that don’t involve losing her heart to one more guy who will end up leaving her cold. While her trust is at an all-time low, her interest and attraction are a raging pull in the other direction. Will her hurts from the past and the secrets he hides work in their favor or end things before they can even begin? Amazing characterization! The author does a great job of getting the reader in the head of Cole, who is both a showman and athlete. He's the type of guy that it's easy to swoon over, but I would never want to actually deal with the ego in a relationship. I loved that we got to see the deeper parts of Cole- what drives him, where he's vulnerable, and how he deals with his struggles. Harlow is strong, and her college friendship with the men of the Belltown Six Pack puts her in a unique position to challenge Cole in ways no other woman has. Their relationship has such a shifting dynamic, and my favorite parts are when they are both loose and relaxed, having fun together and being real. There are a lot of things standing in their way, and they have quite a journey to navigate. I most admired that Cole wouldn't give up on Harlow, and even when they felt betrayed by each other, they could see past the facade to the real person deep inside. Great contemporary romance, and I can't wait to read the next book in the series! Sawyer Bennett has a secret. A risky thing, being one of the popular Belltown Six Pack, a group of six guys from the same college baseball team, all of whom got drafted and now play in the Major Leagues. Between the media frenzy over them and his bond with the guys, his secret has to stay carefully hidden if he wants it to stay that way. He needs to focus on his pitching and let everything else fall away. Running into his former college girlfriend wasn’t supposed to happen. Falling for her again wasn’t supposed to happen. Confessing his secret to her was definitely not supposed to happen. But the harder he falls for Erica Moore, the more important his secret—and she—becomes. This was a fun introduction to a new series! Even though the main character is Sawyer, we get to know all the members of the Six Pack, some more than others. I'm looking forward to reading each of their stories! I really liked Erica, but Sawyer was such a head case! He definitely provided the drama and angst with some self-defeating behaviors as he struggles and works through some issues. Erica had the patience of a saint! I was proud of her for giving Sawyer the space he needed and knowing when to leave the ball in his court (or field). 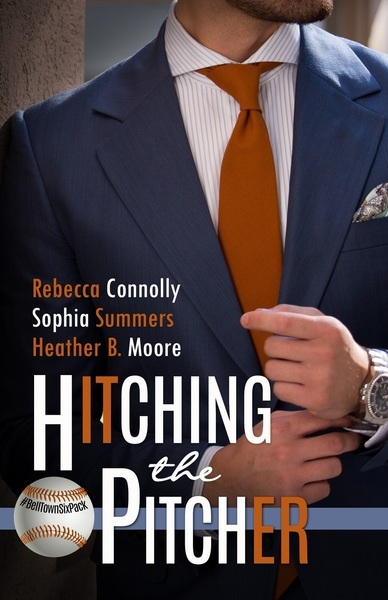 :) My husband coaches high school baseball and after reading this book we had an insightful conversation about the mental game that is also played and can prevent a perfectly talented and skilled player from succeeding. 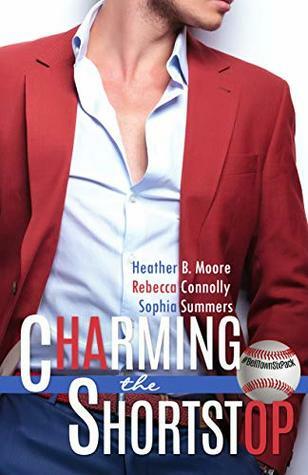 Overall, I enjoyed the dynamics of the ball player characters and the chemistry between Erica and Sawyer. Can't wait for the next book! Join the Facebook Group for updates, fun extras, and interacting with the authors! Billionaires, Royals, Marriages of convenience, Cowboys, and Spies. Sounds exciting, doesn't it? Sophia Summers is an award-winning author who just wants to relax a little and enjoy a great beach read. She lives in a quiet southern town brimming with an extra dose of hospitality and a whole lot of charm. She writes historical romance under a different name. Giveaway Details $25 Amazon Gift Code or $25 in PayPal Cash Ends 2/12/19 Open only to those who can legally enter, receive and use an Amazon.com Gift Code or Paypal Cash. Winning Entry will be verified prior to prize being awarded. No purchase necessary. You must be 18 or older to enter or have your parent enter for you. The winner will be chosen by Rafflecopter and announced here as well as emailed and will have 48 hours to respond or a new winner may be chosen. This giveaway is in no way associated with Facebook, Twitter, Amazon, BookBub, Instagram, Rafflecopter or any other entity unless otherwise specified. The number of eligible entries received determines the odds of winning. This giveaway was organized by Kathy from I Am A Reader & Clean Wholesome Romance and is sponsored by the author. VOID WHERE PROHIBITED BY LAW. Ezra Stone wishes Christmas would go away. Star Henley wants to save it. When a desperate city council, panicked about losing their iconic main street, urges Star Henley to charm her way into developer Ezra Stone’s life, they hope to change his mind, unaware they could break his heart. If the small town, Sanders Corners, can’t save its tree festival and protect their Main Street festivities, her father’s tree business and her Christmas shop will go out of business along with the rest of the town. She can’t let that happen, even if it means ingratiating herself into the cold, hard life of their town’s one and only billionaire nemesis. When a conniving city council forces them to work together on the festival of trees, the two clash as often as they connect, but everything could change on December 25th. Billionaires, Royals, Marriages of convenience, Cowboys, and Spies. Sounds exciting, doesn’t it? Sophia Summers is an award-winning author who just wants to relax a little and enjoy a great beach read. She lives in a quiet southern town brimming with an extra dose of hospitality and a whole lot of charm. She writes historical romance under a different name. Giveaway Details $25 Amazon Gift Code or $25 in PayPal Cash Ends 1/1/19 Open only to those who can legally enter, receive and use an Amazon.com Gift Code or Paypal Cash. Winning Entry will be verified prior to prize being awarded. No purchase necessary. You must be 18 or older to enter or have your parent enter for you. The winner will be chosen by Rafflecopter and announced here as well as emailed and will have 48 hours to respond or a new winner may be chosen. This giveaway is in no way associated with Facebook, Twitter, Amazon, BookBub, Instagram, Rafflecopter or any other entity unless otherwise specified. The number of eligible entries received determines the odds of winning. This giveaway was organized by Kathy from I Am A Reader & Clean Wholesome Romance and is sponsored by the author. VOID WHERE PROHIBITED BY LAW.